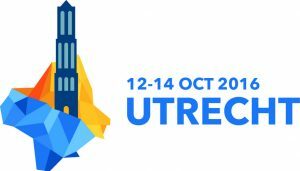 On October 12-14 the FIRES-consortium will meet in Utrecht, the Netherlands. Main purpose of the meeting is to have an open discussion about the institutional reform proposals that are taking shape. On October 12 and 13 the consortium members will discuss amongst each other and with the advisory board what proposals we can make, based on the research in the project and the decades of research that our consortium members represent. Of course it is too early to get very specific, but the aim is to identify and discuss general directions and ideas that will guide the further development of our project. On October 14th FIRES will invite stakeholders that our proposals are likely to affect. In the morning we will invite experts and practitioners in the fields of finance, labor relations and knowledge management to hear their views on the matter and discuss with them how they see our proposed reforms. In the afternoon several key opinion leaders in the fields of finance, labor relations and knowledge generation will give their views in keynote speeches and a panel discussion. This stakeholder engagement is a crucial part of any responsible research project and we gladly extend an open invitation to anyone interested to participate in one of our round table discussions. If you are interested in and have an opinion on how financial, labor and knowledge markets in Europe should be reformed to promote a more entrepreneurial society (or strongly disagree with that goal), then you are most welcome to register through the contact form on the right. Join us on October 14 in Utrecht!